Selling your car just got a whole lot easier. You can sell your car in Washington fast and easy with JJ Sell Your Car WA. Call today and get an instant quote over the phone that will not change, guaranteed. We will pick up your car anywhere in Washington State and leave you with cold hard cash. We buy any clunker in Washington, in any condition. We pay top dollar for clunkers taking up space in your garage. Even if it does not run, as long as you have the title, we have the cash. If your car is only slightly used, we offer competitive pricing on cars newer than 2000 in Washington. JJ Sell Your Car pays cash on the spot for junk cars, regardless of the condition. You can sell your used car even if it has major mechanical problems. With interior damage, wrecked cars, running or not, we buy junk cars in Washington with a hassle free, fast and easy process. Give us a call and we provide a guaranteed quote over the phone. ‌We promise no hidden fees, no obligation, we won’t try to sell you another car, and nothing to sign up for. With us, you just get quick and easy cash for your car in Washington. 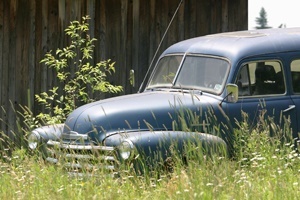 Sell Your Junk Car For Cash In Washington. Call (206) 429-6909 Today For A Cash Offer. When your car has broken down again and you are done fixing the same problems over and over, call JJ Sell Your Car and enjoy cash for your car, even if it does not run. It is time to cash in your"lemon" quickly and easily.